Water is by far the most essential element our body requires. We can live without food for weeks. But merely days without water. The adult body is made up of approximately 60% water. And, every living cell requires water to function. But beyond the obvious need by our cells, why is water so vital? Removes waste from the body – Water is required to eliminate waste and impurities whenever you sweat, urinate or move your bowels. Lubricates and cushions joints – Water helps reduce the rate of friction between bones, preventing degeneration and damage. Protects sensitive tissues – Water helps move nutrients through your internal organs and tissue. It also helps regulate the temperature of your organs. Although plain water is the cheapest and easiest way to get your daily intake, there are other options. Juice, tea, milk, and coffee are all sources of water that can help you reach your daily requirements. Also, many foods contain a high-water content. Watermelon, spinach, strawberries, cucumbers, lettuce, and broccoli are mostly water. If you are eating right you are probably getting at least 20% of your daily requirement from food. However, sports drinks and energy drinks are not a good source of water. Sports drinks can be beneficial after a long, intense workout to replace lost electrolytes, but are unnecessary other times. While the 11 - 15 cups of water recommendation is a sound guideline, other factors determine how much you actually need. If you live in a dry, hot climate you should probably drink more to stay hydrated. Also, if you live in high altitudes you risk dehydration. Rule of thumb: if you feel thirsty drink more water. During intense exercise you sweat a lot of water out of your body. Make sure you drink plenty of water before, during and after exercise to replace what you lost. Oftentimes during illness, your body may lose fluids. It is important to stay hydrated when you are ill.
During pregnancy, it is recommended women drink 10 cups of water daily and 13 cups if they are breastfeeding. Quench Your Thirst! 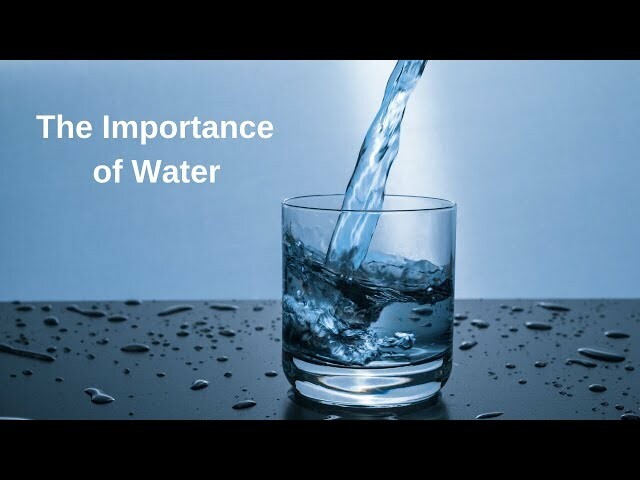 The Importance of Water. Young people will understand that water is the best choice for quenching their thirst throughout the day. Dec 19, 2017 - We want taut, toned and jiggle-free arms, but the reality tends to veer to flabby, flaccid, and jiggly. So learn how to lose arm fat from a pro.